Richard E. Roebuck was born November 3, 1960. He learned to paint as a child by watching his mother Sally Pearl paint. He was strongly influenced by her work and at an early age was sketching and painting flowers and animals in a style very similar to hers. Growing up, he enjoyed reading comic books and he spent much of his time drawing his favorite superheros. 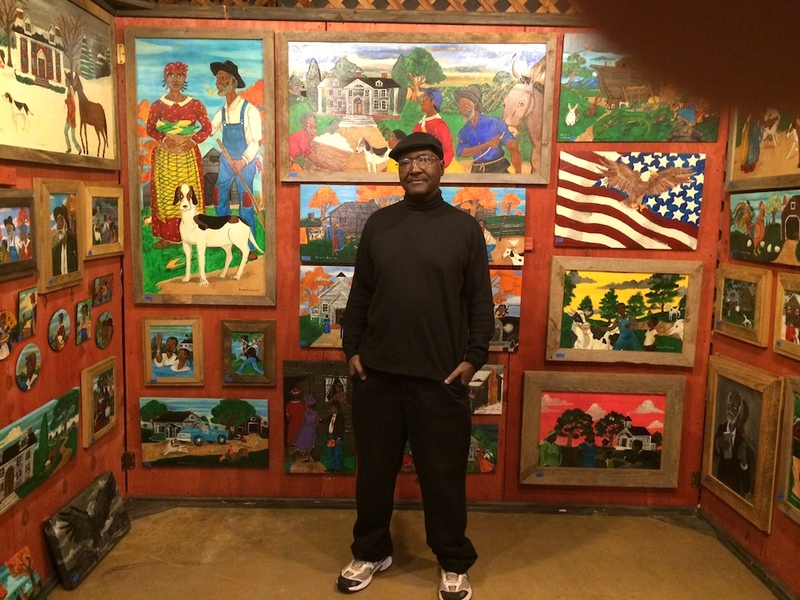 As time progressed, he began painting scenes of 19th and 20th century black folk life in the rural south. These scenes reflect both memories, along with creative renditions of historical subjects associated with the story of the old south and its people.